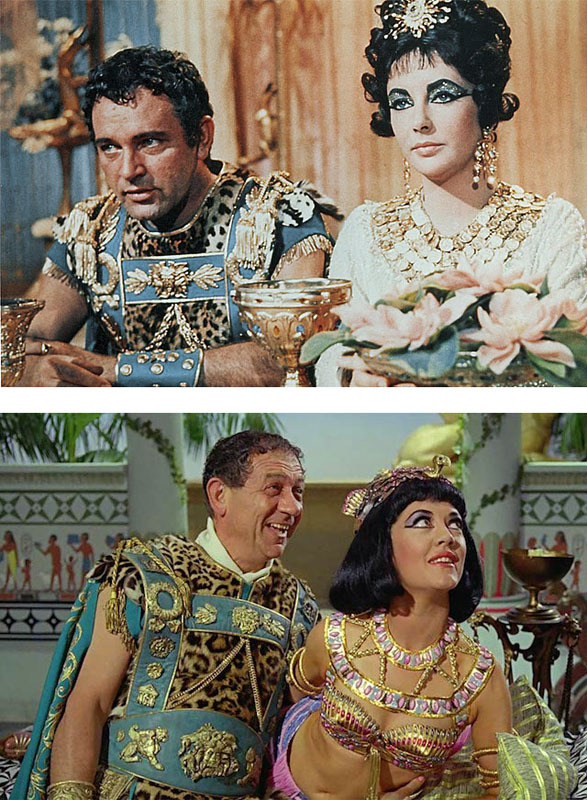 For the nerds out there, this is an amusing tale of being keen-eyed and spotting costumes when they get reused from one production to another. I also intend this to be a baton I have taken on, and happily pass on to others to see where it goes from here. A couple of years back I read an observation online regarding a costume that appears in the Star Wars sequel, The Empire Strikes Back. During a brief scene on the Darth Vader’s Imperial cruiser, one of the bounty hunters, known as Bossk is seen wearing a yellow space suit. It was presumed that the costume had been custom made - after all, this was Star Wars! But someone had spotted that Earl Cameron wears an identical suit in William Hartnell’s swan song, The Tenth Planet. Could this be the same one? His co-pilot also wears a similar suit, but in a darker colour. So the baton of the costume had been passed from Star Wars to Doctor Who - but had it really been made for Doctor Who? 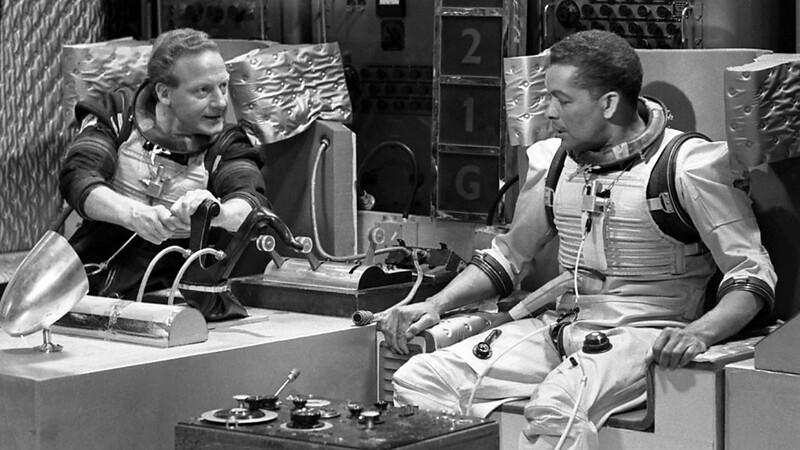 I always doubted that was the case as the suit was somewhat well designed for that period of production - no offence intended to the 1960s designers at the BBC. Costume making in the 1960s was dominated by a number of big player companies. Bermans was very well known, run by cutter Morris Berman and his son, TV producer Monty Berman. 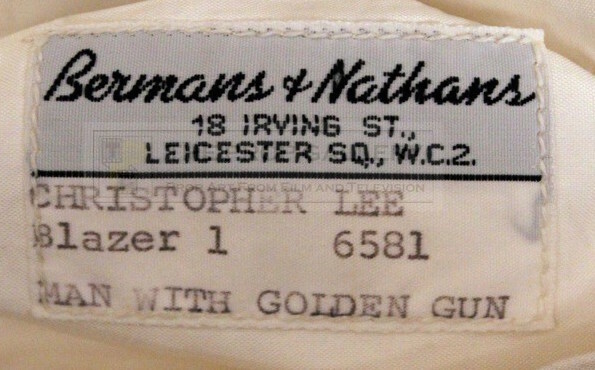 They later merged with Nathan's, which had been established in 1790, to form one of the largest costumiers in London, Bermans & Nathan's. Also in the market were Angels, which since it engulfed Berman & Nathan's in 1992, has dominated UK costume making and supplying. Dependant on individual deals, it was common practice to custom make for a big budget productions, and the leftover costumes would go into stock to be hired out to other productions with more modest budgets. Thus Sid James wore Richard Burton's costume from Cleopatra in Carry On Cleo. 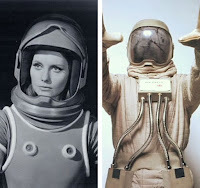 For some reason, Moon Zero Two, Hammer's only attempt at futuristic science fiction, was the source of endless space suits during the late 1960s and early 1970s. The helmets worn in Ambassadors Of Death were from this production. 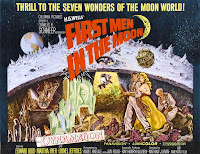 Well I was watching an old Ray Harryhausen film called First Men In The Moon. It's not the best of his films, but I was interested in watching it again as it had been several years since I saw it last. 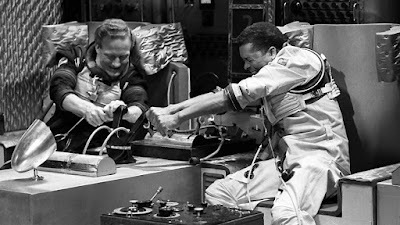 Made in 1964, it pre-dates The Tenth Planet by two years. 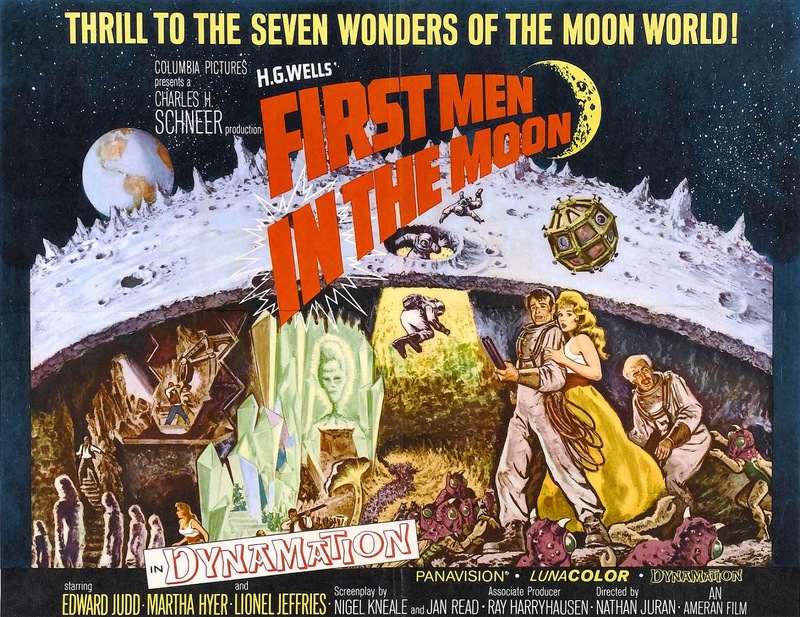 The film opens with a (as of 1964) fictional maned landing on the moon. As the astronauts start exploring the lunar surface, something suddenly dawned on me. Two of the astronauts are wearing yellow suits - just like the one Bossk wears! The third astronaut os wearing a navy blue suit - this I’m guessing is quite probably the darker suit worn by Alan White in The Tenth Planet. Since this was in the high budget bracket, I'm thinking this could well be the production for which the suit had been custom made. If you have seen another production that uses these very same space suit, especially one pre-dating 1964, I’d love to hear from you. Maybe you know what these suits were in real life. Were they fighter pilot suits like the 1980s Cybermen? Take the baton from me - I want to see where you take it.